Calpulli Mexican Dance Company celebrates Mexican and Mexican-American culture with dance and music with a unique flare. For its first performance in Houston, the company will present signature selections from its repertoire. 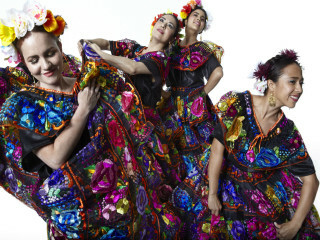 It will include “Mexika Tiawi,” a ritualistic and powerful homage to Aztec culture; “Noches de Veracruz,” its fiery and haunting suite of dances from the Gulf coast; and “No te rajes Jalisco,” a patriotic suite of Mexican classics. Contagious live musical rhythms, meticulous costuming, passionate dancers and Mexican stories that transcend cultures will be on view at Calpulli’s Texas premiere.